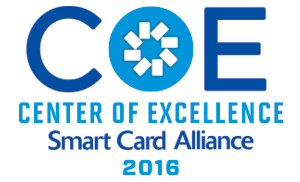 Over the past 17 years, the Smart Card Alliance became a leader by presiding over a multi-industry association that has worked to stimulate the understanding, adoption, use and widespread application of smart card technology for payments, mobile, identity and access security, transportation, and healthcare. In the decades before the organization was formed in 2000, there were a handful of uses of smart cards in the U.S. and a number of false starts that failed to sustain the market for cards and the related hardware and software that accompanied smart cards. Our organization was known for propelling the adoption of smart card technology in the U.S. by organizing industry leaders to define how the existing technology from other global markets could meet U.S. market requirements and help them deliver solutions that became security standards for U.S. payments, identity, access and mobile security. Over time, the technology has continued to evolve for smart cards and other forms of embedded chip technology. On March 8, 2017, we officially announced a new name – the Secure Technology Alliance – to go along with an expanded charter to include a broader range of security and privacy-enhancing technologies. You can learn more by visiting www.securetechalliance.org. We are proud of our past and excited about our expanded focus, which has already taken shape by our member’s support for the industry council addressing the Internet of Things market. We’re taking steps to expand and engage in activities across a broader spectrum of technology that’s being used in things such as wearables and Internet-connected devices. I have a lot of personal and professional satisfaction having been part of the Smart Card Alliance for more than two decades. The success of the organization is due in large part to you, our members, and our supportive and engaged Board of Directors. I am excited and confident that our expansion and new Secure Technology Alliance focus will continue to offer you information, resources, best practices, education, networking and council activities that will be vital to your particular organization. I hope you are planning to attend the 2017 Payments Summit in Orlando March 27-30. When we planned the event, and its subject, “Adapting to the Wave of Change,” we hadn’t yet begun the work necessary to undergo a name change. I’d like to think that the conference’s focus on adapting to change is a fitting representation of our mission going forward. A 2016 Center of Excellence recipient, Valid is a Brazilian company with a global presence and production in Argentina, Spain and the U.S. Established in 1957, today it is the world’s fourth largest producer of financial cards. Below are thoughts from Alberto Hernandez, Global Chief Commercial Officer of Mobile, Payment, and Software & Solutions. Valid has vast experience serving financial institutions and mobile operators with products and services associated to smart card technology. With a proven track record of supplying EMV technology and SIM cards in the Americas for many years, we have now expanded in recent years to having a presence in other regions of the world like Europe, Africa, Middle East, and Asia. As a central point of our strategy, smart card technology is where Valid is investing a lot to improve on functionalities, roadmaps, etc. and always follow standardization committees to strengthen our industry. For the SIM card market we see the next wave of technology coming mainly due to the IoT major trend around the world, so solutions like eUICC (embedded SIM) are gaining a lot of momentum. For EMV, we see an increase of adoption of smart card technology around the world with special focus in the USA, Africa, and Asia. Valid is investing in developing new technologies and services around the trends mentioned above, so we can facilitate customer adoption and improve their day to day life when using smart cards for a given purpose. For more information, go to www.valid.com. The Payments Council will publish the blockchain and smart card technology later this month and is continuing work on the EMVCo Payment Account Reference (PAR) use cases white paper. The Transportation Council collaborated with the IoT Security Council to host a successful Smart Cities Transportation Workshop, on February 1-2, at Utah Transit Authority, in Salt Lake City, UT; presentations from the workshop are available on the Secure Technology Alliance members-only web site. The Council will be publishing the multimodal payments convergence white paper later this month and is developing a webinar on mobile ticketing and NFC for later in 2017. 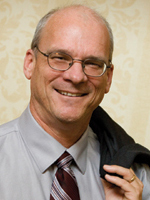 If you would like to participate in a Secure Technology Alliance Council, please contact Mike Strock,[email protected]. Marquis Laude, Integrated Security Solutions, Inc. Learn about the history of the Smart Card Alliance and reasons behind the name change and justification for the expanded mission of the Secure Technology Alliance. This one hour webinar offers insights into the future of smart cards, embedded chip technology, and related hardware and software that support the implementation of secure solutions. A CSCIP/G training and exam will be held June 13-14, 2017 at the National Center for Advanced Payments and Identity Security in Arlington, VA. Classes fill up quickly, and it’s never too early to register. Two sessions for the CSEIP training and exam certification have been scheduled, and registration is now open. The first session is April 11-13, 2017, and the second is May 23-25, 2017. Both sessions will be held at the National Center for Advanced Payments and Identity Security in Arlington, VA.